UMP | University of Minnesota Press Blog: On truthiness and trustworthiness: Why nonfiction is best defined as a literature of questions. On truthiness and trustworthiness: Why nonfiction is best defined as a literature of questions. It’s a cliché that by the time one finishes writing a book, one hates it. Well, I have just finished a book—A Literature of Questions: Nonfiction for the Critical Child—and if it’s not quite true that I hate it, it’s certainly true that this book continues to cause me no end of discomfort. Unfortunately, the discomfort is the point. 1. My book might—indeed, intends to—undermine that which is most comfortable about the genre: the idea that nonfiction is a literature of facts. This idea that it is a literature of facts is not just comforting, but nearly inevitable. If a book is “not fiction,” then surely we are being asked to assume that it is true. Certainly, nonfiction might be structured with an eye to narrative shape, an ear to evocative language, a heart for the passions and trauma that spurred history, mathematical breakthrough, scientific discovery, or any of an infinite number of other aspects of learning. Those literary elements, though, according to the dominant understanding, must be subjugated to truth. Nonfiction tells the truth. It is a literature of facts; that’s the way we distinguish it from fiction. As intuitive as this position is, though, it’s just silly. Nonfiction is written by human beings. Imperfections, mistakes, and bias are inevitable, which means that insofar as it is ever a literature of facts, it is a literature of facts laced with error. Indeed, what I have been finding is that nonfiction often seems to have been written with an awareness of where it is wrong, but—because we keep telling our nonfiction writers that what we want from them is authority—it is also written with a discernible effort to obscure places where its authors feel doubt in the conclusions that they have drawn. For example, one of my chapters focuses on a famous work of nonfiction about astronauts. It’s a very good book, one that I like and often teach. Its author, following the common script for the genre, has said repeatedly that nonfiction should always be reliable. The problem is, though, that her book’s central piece of evidence brings to light questions that the book pointedly does not pursue, questions that, it seems to me, the book cannot pursue because its goal is to be reliable. When I started chasing those questions myself, I found that the book was full of bandages on top of bandages covering up cracks in the book’s authority, cracks that spread from one unanswered question to another. Trying to be reliable, trying to be a literature of facts, incentivized a lack of transparency throughout the book. By insisting that nonfiction be a literature of facts, we have cultivated a genre that is less honest. Nonfiction, in striving for the authority we demand from a literature of facts, is less factual. 2. My book’s argument also asks us to do more work when we read nonfiction. Implicit in the call for nonfiction to be authoritative is the very seductive suggestion that it if is authoritative, we can rest in that authority. If we find places—or, more likely, think we have found places—where we can rest in the authority of a book, what we have found are places, we tell ourselves, that we can lay down our responsibility to engage critically with what we read. Naturally, that’s bad. Obviously, it’s irresponsible to ask a book to speak with an authority that allows us to be lazy. Similarly, it’s wrong to think of the entire field as a genre whose primary responsibility is to traffic only in answers that let us escape the responsibility of asking questions. A history underpinned by meticulous, objective facts is, as this passage reveals, a privilege. Reading a book about a history that cannot be verified requires a constant vigilance, a creative, critical engagement that asks not for an opportunity to absorb data but to navigate and take into consideration gaps in knowledge. Such a literature requires work on the part of the reader who performs those acts of navigation, and it also requires work on the part of a writer. Such writers must resist the call of editors, reviewers, and readers to speak with unwavering authority. They must justify their conclusions, humanize their characters, and label the “seams,” as Joe L. Kincheloe has put it, where they have stitched together faultless narratives of knowledge. 3. For many readers, the most uncomfortable aspect of the book will be that in it, I study not adult nonfiction, but nonfiction for children. Although adults can sometimes practice humility in communicating their ideas to one another, we frequently find ourselves clinging to authority when we try to tell our truths to young people. Perhaps our reasons are nefarious: we can stave off being replaced by them for a little longer if they think we know what we know without harboring any questions. Or perhaps we don’t want to do the work required by a literature of questions rather than a literature of facts. Or maybe we feel we are doing children a favor by presenting the world to them in terms that are simple, even if those terms are—we know even as we lie to them—untrue. Too, if we think of books whose goal is to inform as defined by the questions they provoke rather than the answers they instill, then we’re going to have to rethink how we ask children to engage with information and how we assess that engagement. Dutifully recording authoritative data is an act for which standardized examinations can test very easily. Recognizing and struggling with information that advertises its imperfect reliability is much trickier. Assessing the creative, productive engagement invited by a literature of questions is more challenging yet. For me, though, the most persistent source of discomfort about my own book has to do with the cultural moment in which we find ourselves. Two of the most resonant (and troubling) phrases of our moment—“fake news” and “alternative facts”—carry with them a legitimate anxiety about disinformation, and more than once, I have glanced longingly at the reams of discourse that valorize taut, confident nonfiction, a discourse that this book contests. I miss the security of thinking about information as uniformly trustworthy or untrustworthy. Still, insisting that the goal of a work of nonfiction should be authority only soothes the anxiety; it doesn’t eliminate the potential for—or harm caused by—truthiness. It requires us not only to bury our questions but to bury our fear about those questions. The work necessary to a literature of questions is not only worth the effort, but ethically imperative. 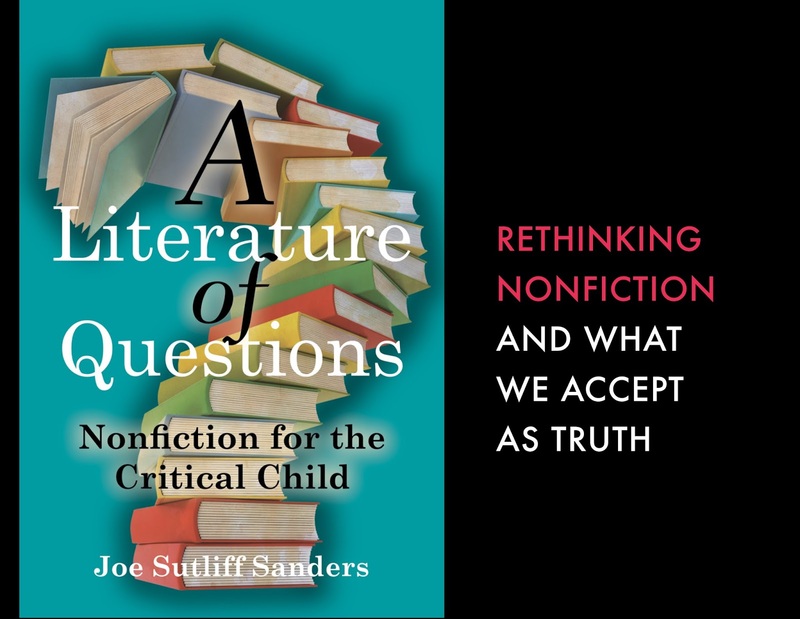 Joe Sutliff Sanders is author of A Literature of Questions: Nonfiction for the Critical Child and Disciplining Girls: Understanding the Origins of the Classic Orphan Girl Story and editor of The Comics of Herge: When the Lines Are Not So Clear. He is a university lecturer in the Faculty of Education at the University of Cambridge. 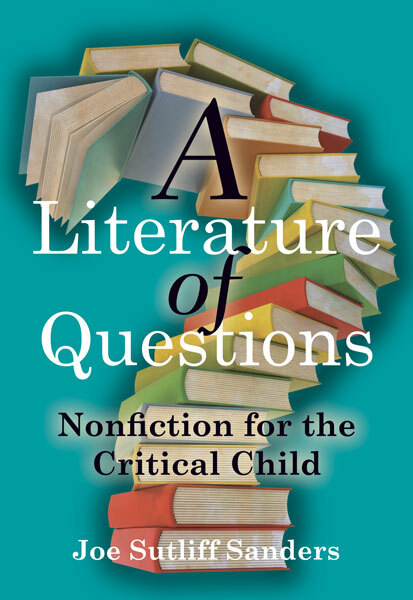 "A Literature of Questions is a groundbreaking work of criticism not only because it covers an area of children's literature that is largely unexamined but also because it provides the field with new language and a new set of critical lenses, which scholars, educators, and writers can use in the future to analyze, evaluate, teach, and create works of nonfiction for younger readers." "Not many courses about children’s literature that are offered in English departments include nonfiction titles on the reading lists. A Literature of Questions will irrevocably change this situation. 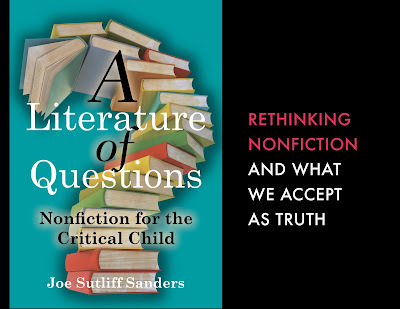 In the wake of Joe Sutliff Sanders’s book, it will no longer be possible to teach an undergraduate or graduate course about literature for young readers without including a section on children’s nonfiction. Every individual working in the field will want to add a copy of A Literature of Questions to their campus library and even to their personal book collection. Additionally, they will want to assign this text their students. Sanders’s work is a new classic."